I've just started an evening class in central London and as this was the first day I headed up early in order to allow myself plenty of time to work out where I was going and of course, eat so I would have the energy to get through the session! I used the Nandos App to work out the closest branch to where I needed to be (and with a bit of help from Google Maps) my destination was to be Nandos in Covent Garden. mate ordered well done chicken. It came cremated which is how he likes it. I was in London very early for an evening meeting and after doing some shopping in the Regent street and Covent Garden area I arraigned to meet a friend who lived nearby for a late lunch and some drinks at a nearby Nandos and today it would be the Covent Garden location. Nando's was required, and I was close to Covent Garden, so this one seemed the obvious choice. Having been here a few times now, it was quite easy for me to get too. The outlet has some quite impressive decoration. Staff were fairly good, did everything they're meant too, weren't any 'shining stars' really. Except for a guy called Jeremy who worked there, he was wearing a certain flag on his shirt which was clearly political and was wholly inappropriate. It most definitely made me feel uncomfortable. Second visit to this branch - not the easiest one to find in the maze of side streets off the Strand. This was part of the RYN Christmas dinner. There was a queue to sit down when I entered but I headed straight downstairs knowing that we'd have a few tables. It was pretty annoying that our tables were placed so close to each other, and way too big to even attempt moving them apart. This was my 1st Rate Your Nando's dinner, and it was great to finally meet everyone that I'd heard so much about!! It's quite a tricky branch to find, and is actually nearer The Strand than Covent Garden. Thank goodness for the helpful chap at Covent Garden Tube Station, otherwise Gerry & I would probably still be wandering around. Rate your nando's reviewers dinner. The first dinner I'd been too and possibily my best ever Nando's experience. Everything was great and the service received from Jeremy was exceptional. I'd been to this branch previously and had a great time. A jewel in the Nando's crown. It is one of my favourite Nando's. I like the layout. Downstairs is bigger and it's more open plan than anywhere else. I like the bendy queuing area. It was another good RYN event, as always! It was particularly memorable as I won two of the prizes available! Looking forward to the next one. I had passed this Nando's many times but had never actually been in. Although I did get lost, I was able to find it in the end with some help from Blayne and Olivia. To my surprise (only having one raffle ticket) I somehow won a combo meal which was awesome! #freenandos. I went for boneless thighs, chips and spicy rice which was very filling! The speed of service was great and I was eating before I knew it. I didn't find our tables the most spacious as I remember having to keep squeezing in! This outlet is like many London Nando's, and is mainly below street level. I entered through a small shop front, and was greeted by a friendly Nandoca who swiftly directed me towards the RYN group. There are a few tables upstairs along with a cutlery & sauce point, with the spiral staircase leading to the lower level on the right hand side as you enter. This brings you out at the till and grill point. Behind the spiral staircase is a small secluded booth. My first Nando's after 'metal-gate' (see previous review) and thankfully it was back to normal. I was out filming for the day with a couple of work colleagues on the hottest day of the year and a Nando's lunch was a most welcome break. We sat on the ground-floor level which is deceptively small; I went downstairs to use the bathroom, and it is HUGE! The only criticism would be to get to the toilets from upstairs, you need to go through a maze. Fairly small restaurant. Went with a couple of work colleagues while we were out filming. Super hot day so we were relieved to take cover. Food took a little longer than expected but was decent. The salad was good. Would probably avoid this particular location in the future just because it seemed popular with tourists and could foreseeably be cramped. 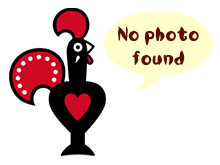 I visited Covent Garden Nando’s with one friend for a quick meal on a Sunday afternoon. Last time I was here, it was very busy and I was half expecting a wait (in which case we would have instead gone to one of the numerous other places in the area). Luckily, it wasn’t all that busy inside and we got a table straight away. The restaurant itself is mostly underground and cave-like, with lots of different areas. This central London store is close to the heart of it being not far from Trafalgar square and the national portrait gallery. This store is amoungst a few others including a Mexican I quite liked the look of. From the road it doesn't look too impressive and as you enter you would imagine you were in an upmarket coffee house with a spiral stair desending to the depths below. Covent Garden Nando's is perfectly located for the start or end of a theatre evening in the West End and does accordingly have a unique feel to it. As you walk in on a street lined with other inferior chain restaurants, you are greeted with an unfamiliar sight: a bar and tables where no food is being consumed. I told you this one was unique, didn't I? No forks, but we had some in time for the meal. The waitress was very rude on arrival and had 25 minute wait to get a table. But overall an ok experience. An amazing location, right in the heart of london, just off of covent garden, and also next to trafalgar square! decorated beuaitully! includes two floors, with a bar on the top, and more quieter seating area on the bottom, with private rooms for parties or large groups! Down near the Strand. A nice Central London Nando's that has good food and good decor like most branches there. Staff and service are average but this is to be expected when the restaurant is so busy. Has a very nice upstairs bar area where you can get a drink before the meal, before heading downstairs to the main restaurant.